If you’re in an industry that produces high volumes of paper, or your company needs to keep detailed history and backups of files, offsite storage services are built for you. 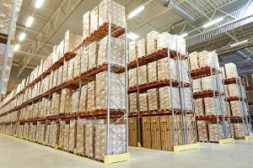 For industries that require physical documentation, offsite records storage facilities are designed to house records of all types and keep them in pristine condition. Whether you have historical documents, large blueprints, legal records, or just boxes full of old company files, offsite facilities will keep them safe and in excellent condition. For organizations that currently store all of their files on site, they may question the usefulness or efficiency of storing documents at an offsite location. Below we outline just a few of the benefits of offsite document storage—mainly how it can reduce costs. How Does Offsite Document Storage Reduce Costs? 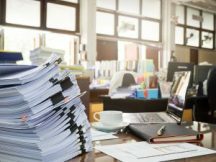 Office space costs top dollar, if you can reduce the amount of office space you use to store old files you rarely access, you can move into smaller offices that cost less, or simply use the free space more effectively. Consider hiring more employees to get more work done. Even if you just free up space and keep it empty it will create a stress free, less cramped atmosphere and make room for potential growth. Onsite document management can be costly. When one file out of thousands needs to be found, the work is either done by an employee assigned to other duties or to a full time records management employee. If an employee is diverted from their normal priorities, this is wasted time which means wasted money. On the hand, hiring a full time employee just to manage documents is also a costly endeavor. Offsite records storage services offer on-demand document retrieval, where you can sit back and relax while the storage company finds and delivers your files for you. Storing documents off site is safe, secure, and an approved way to retain records. Offsite storage facilities comply with all information security and document management laws, keeping your company in compliance. 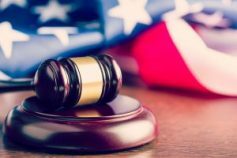 Failing to comply with these types of laws will put your company at risk of a data breach. In the event of leaked or missing information your company could face steep fines and a tarnished reputation. Storing your documents offsite helps you avoid all of this. Offsite records storage facilities are designed specifically to house documents. They are secure, climate controlled, and constantly monitored. Documents are kept in pristine condition and won’t fade, experience water damage, or burn in a fire. Losing records can make daily operations a nightmare for a company, causing a company to struggle for years before they’re able to get back on their feet. Offsite records storage greatly reduces the likelihood of data loss. Backing up your data and files is a best practice for all industries. If your company deals mostly with physical documentation, offsite storage facilities are necessary. While digital backups are often touted as a clean, simple way to store information, if your documents are already in a physical format, avoid taking the time and money to scan them and simply pack them up and store them offsite. In addition, if you store your backup files on site, they risk being tampered with, damaged, or stolen, and they’ll go down with your primary files in the event of an office catastrophe. Offsite storage provides a truly safe backup system for your physical files. Ready to Move Your Files Offsite? Record Nations helps organizations large and small better manage their records. If you are interested in offsite document storage solutions near you, give us a call at (866) 385-3706 or fill out the form on the right. Our records storage experts will help you find the best document management solution for your unique needs. Stay in compliance and get organized with help from our local professionals.